We provided an exciting multi-activity themed programme for 110 children and young people who have a range of complex needs, this providing invaluable respite for families. Themes ranged from Weird Science, Music Live, Fab Food, Academy Awards, Art Attack,Wild Camping, Bushcraft and Superheroes. 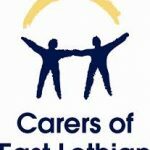 We provided grants directly to carers who live in East Lothian to plan and pay for a short break of their choice. We provided short breaks for groups of autistic adults who do not access short break services as part of their regular support. The breaks provided respite for families and opportunities to learn skills in a new setting, thereby improving a range of quality of life outcomes and reducing parent/carer anxiety. We provided activities for young adults with complex learning and communication disabilities and autism. 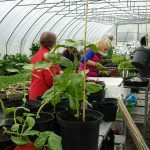 The programme offered opportunities to participate in activities that will continue to the development of life skills, experience new social settings and new life experiences encouraging personal development and growth towards independence. We provided a weekend family conference for 40 families affected by Spina Bifida and/or Hydrocephalus. 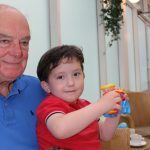 Families enjoyed a weekend break at Crieff Hydro and were able to meet other families in a similar position and enjoy talks from healthcare and medical professionals.